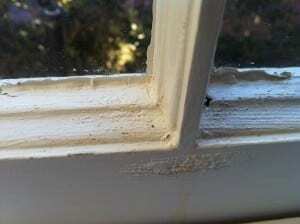 Dip Stripping Windows: Don’t Do It! One of my first large scale window restoration jobs was to fully restore all 38 sashes on a 1950s Colonial Revival. 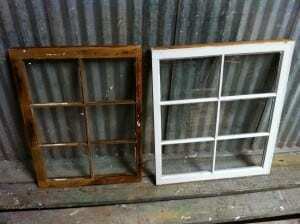 I had restored close to 100 old windows by the time this job came around and had gotten pretty good. My glazing putty had nice clean corners and I had developed a pretty good process with my small team. This job was a big one for us and it had a time crunch to boot. The thick layers of factory applied 1950s alkyd paint on the windows was so tough that it laughed at my infrared paint remover. Steam seemed to have no effect either. The first batch were dry scraped, which took FOREVER. I had to find a way to get the paint and putty out and still make a few dollars to pay my team. I had heard of dip stripping and knew it wasn’t the best option, but I was out of ideas. 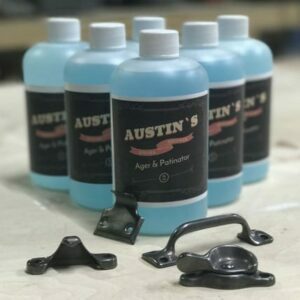 I brought the next batch of sashes to a local dip tank operator who gave me back the sashes in a couple days without a trace of paint or putty. Brilliant! So, I decided to bring the remaining sashes to get dip stripped before we finished the restoration process at the shop. The windows came out beautifully. I was proud of the results and the client was very happy as well. Three 3 months later, I got a troubling phone call though. 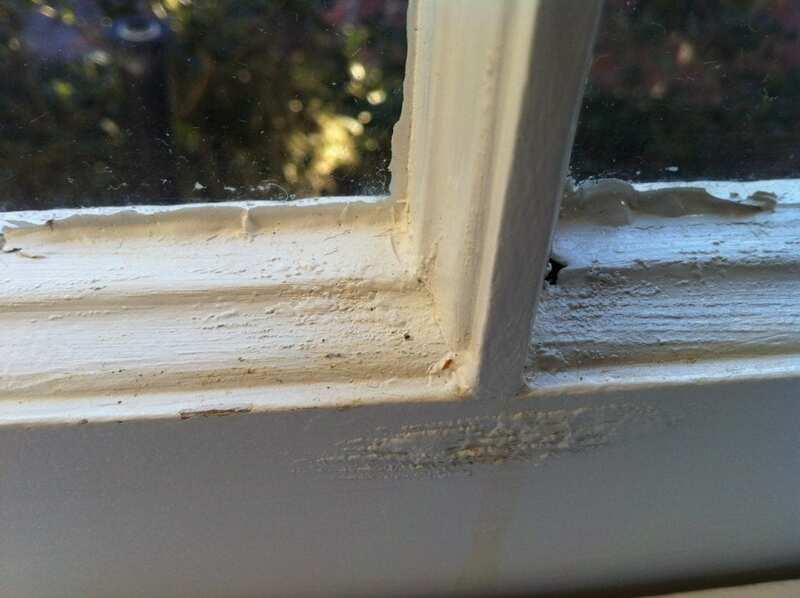 The paint had begun bubbling up on the windows, particularly on the joints, and a brown ooze was leaking out. I had never had a problem like this before and had no idea how to deal with it. The “brown-ooze” is a terrible, terrible side effect of dip stripping windows and doors. It doesn’t happen every time, but when it does it is kind of like cancer. No one knows how to stop it…yet. I’m confident there is a way, but so far the world is still looking for a cure. Luckily, I have some of the greatest clients in the world. My client has been patiently letting us experiment on their windows to try and find a cure for this awful diagnosis. Some of our work has been promising and I’ll share those findings as soon as I know they have staying power. Other attempts looked like we had cured it only to have it come back even worse. It is a tricky issue and one that needs the help of anyone who has ever come across it. 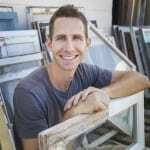 I’m hoping to crowdsource a solution by publishing this post since most window restoration experts I’ve spoken to are also at a loss as to how to salvage windows suffering from a bad case of dip stripping. There is a discussion on the topic at Historic HomeWorks if you’d like to read more. Next week I’ll walk you through the proper way to restore windows from start to finish so you can be sure to avoid this scenario. Till then, fight the good fight! I have dipped and stripped furniture for years as well as woodwork left on my stairs (decorative Newell post and side piece) with no negative results. Especially those mentioned in previous posts. After dipping or stripping I always clean up the wood with denatured alcohol. It gets any residue paint or stripping material out of the wood before applying any final finish. Doors are great for stripping if you don’t repaint. I am stripping my 138 year old doors and then recovering the natural wood in linseed oil coats. Best way to do it to preserve the detail iin the wood that gets messed up by using even small scrapers that are designed for iintricate details. The labor would far exceed the cost and the clean up for lead paint is messy. If you do use a stripper and tools, there is a great scraper tool with six blades and 12 different sizes and shapes that works awesome. I used it for molding and it works really well. Got them at Home Depot. $13. Doors came out great. Had to drive 100 miles to a stripping business and paid them $220 per door, too much but out of town and nowhere else to go and cheaper than hand stripping due to high labor costs in my area. They also sanded the doors. We went over them again and then put a coat of linseed oil on them and they sucked it up nicely. Came out beautifully. May not even apply a second coat. Awesome transformation and much cheaper tha buying equivalent new doors and installing them. I had the same problem with brown goo exuding from the wood after I got some pine doors dipped. Most areas of the doors were unaffected but some parts seemed never to dry and were darker, with occasional weeping of brown goo. As I understand it, its probably a soap like substance caused be a reaction between the caustic and oils in the paint, which seeps into the wood. Anyhow a potential solution which I have been experimenting with (and quite excited by) is Calcium Bentonite Clay or Fuller’s Earth. 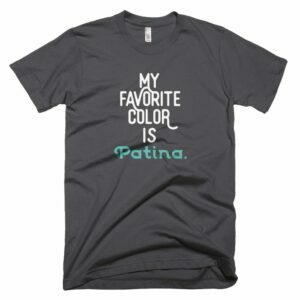 Its a type of clay, which comes in powdered form. I mixed it into a paste with water and a little vinegar and painted/trowelled it on over the affected areas. It may work better to wet the area first… It appears to draw out the residue from within the wood and is trapped in the clay, which can then be scraped off and washed away with water…several applications were necessary but it seems to work very well to get rid of the problem. 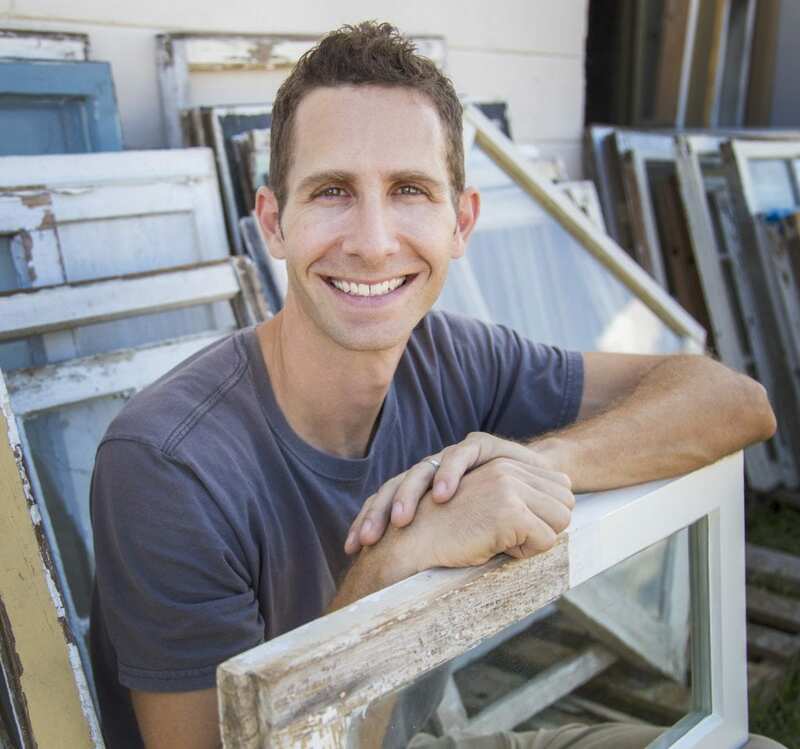 I have been restoring windows and doors in the NW region of D.C. for about ten years and anytime I have something dipped in acid, I pray that it falls apart, because if it doesn’t, I take apart all the joints and rebuild the item. It is the only way I know how to ensure that you will never get any ooze syndrome. However, I wonder if applying a nice coating of elastomeric epoxy inn and around the joint would keep the ooze inn. I do have to say that I had some cabinet doors dipped. They were solid slab maple, with no glue. The process worked beautifully. With sanding and polycrylic, they came out spectacular. I want to strip layers of paint from a 40’s era home. I only want to do the baseboards. Seems to me acid dipping would be a safer and more efficient way of going about the project. Problem I have is there are no “DIPPERS” in my town. What chemicals are used so I can make my own? Or can you confirm if dip operators are the same guys who do vehicles ? I won’t have the same problem as you had since there is no glue or joints to deal with, which is what seems to be the problem. Hand stripping these lovelies would be a nightmare since they are rather ornate. Liv, chemical stripping in place may be easier than removing everything, dipping and then reinstalling. I’d probably try an infrared heater to make paint removal easy or check out my post about chemical strippers for my info. Scott mentioned infrared paint removing. 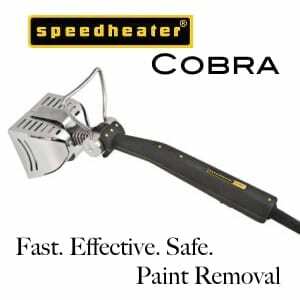 The low infrared heat from a Speedheater will soften the paint easily. Eco-Strip is US distributor.Your concern about the ornate wood could be solved by having a pull scraper with small curved edges. A special scraper called Boomerang Scraper has a 1/2 ” curve at the bottom & 1/8 ” rounded tips. Works well on narrow grooves and detailed carvings. My bedroom was a huge success & and a safe one. Used “Back to Nature Lead Off ” paint stripper. Follow directions. Took 72 hours but came off easily. MUST wash down roughly with warm water. Ps. Back to Nature “Strip Tox”. For safe removal of Lead paints. What a relief to hear that!!! This has been a helpful article. I was a bit confused with your cabinets…did you use the shellac underneath the paint as a primer? Or were these cabinets a straight shellac finish that you were looking to maintain? Wasn’t sure where the shellac came into play. Sorry, I meant Marc for this post. Hi Jon. The clear shellac was used over finished urethaned cabinets that were still seeping some wierd white haze from a previous dip stripping. Then I finished the cabinets with a waterbased urethane. I would certainly think it would be worth a try. The shellac not only stopped the chemical haze that occured it also made it disappear just by applying it. Wish I had tried shellac 1st before I tried an oil based sanding sealer and an oil based urethane. Let me know how it goes! Finger crossed, but I believe we have. We scrapped the paint and primer down to almost bare wood and put fans on the sash until the moisture content was down to a reasonable level 10-14% instead of the crazy 30-50% it was at. We ten primed and repainted leaving the sides bare so the sashes could dry out by themselves if needed. Seems to be working for now, but that’s only 8 months of field testing. Thanks Scott. Had some cabinet doors dipped. Some chemical reaction caused the polyurethane to dull and have a white glaze. Had them machine sanded back to bare. Let them dry a few months. Restained, polyed and seeing some slight glazing again. Will try to sand to bare the bottom or too of the doors and will try to seal with shellac a couple of coats. Thanks Steve! Look forward to hearing what you find. I had an antique rocking chair done years ago… NEVER again! Totally destroyed the chair and joints. Hand stripping with sandpaper is my way to go. Dipping also causes the glue joint to break down. This is common when one dip strips wooden shutters and it is awful. It’s just a matter of time with them before the louvers start “racking” and slipping like dominoes. 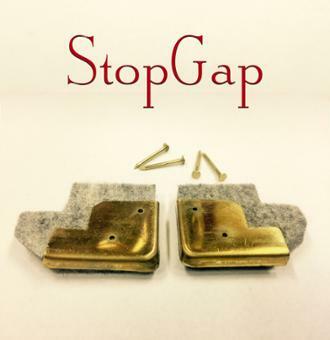 A similar leaching of chemical strippers applied to painted surfaces manually can happen, even if they are neutralized and washed. The remaining crystals cause the paint to fail, too. Try SOYGEL. Then there is the issue of assuring the wood is completely dry before glaze and repaint. If not, the remaining moisture may cause the paint to pop off/fail, too. Sorry to hear about the dipping problem. In old car restoration people have the same problem. Dipping a car in acid to strip the paint, car gets repainted, then months and years later brown ooze starts leaking out of the joints and ruining the paint job. I haven’t heard of any solutions. 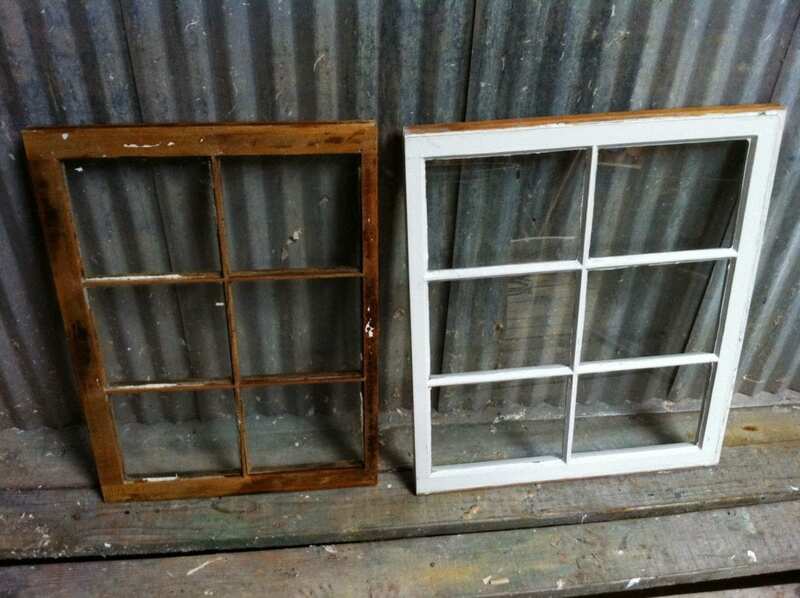 The preferred stripping method is media blasting, walnut blasting, or sandblasting. But that’s on a metal car body. Not sure how’d it go on a wood surface.